Michael Helquist, author of Marie Equi: Radical Politics and Outlaw Passions, is joining us today in celebration of Pride Month. His biography of this little-known woman received the 2016 American Library Association Stonewall Honor Book Award. Marie Equi was one of the first women physicians in the West. She received a medal from the US Army for her help to San Francisco earthquake victims in 1906. Throughout her career, she leveraged her professional status to fight for women's suffrage, workers' rights, fair pay, and reproductive rights. She was eventually imprisoned in San Quentin for her protest of World War I. To get better acquainted with Michael Helquist and Marie Equi, make sure to check out his website. Actor and author Jeffrey Tambor recently exalted the effect of authors reading their books out loud in a bookstore. "It's theater," he remarked in a New York Times interview of May 18, 2017. "Different venues-- same goal-- as E.m. Forster wrote, 'Connect! ... Only connect.'" The connection between author and readers can be powerful and transformative. I've presented my biography of the early woman physician and political radical Marie Equi for dozens of gatherings. Each time I feel that I'm performing with the words, phrases and rhythms that survived a steady stream of revisions. I get an extra charge from knowing I'm presenting the life of a remarkable but little-known woman. Audiences often allow me privileged access to their own inner lives-- their appreciation for my protagonist or their disinterest, their sharing a laugh with the person next to them or their close following of the obstacles my character encountered. Sometimes I witness eyes widening, smiles broadening, and heads nodding with affirmation. Often the Q and A is the best part of an author event. This is a time when the connection between author and reader becomes more immediate, spontaneous, and personal. I can embellish my story-telling, and I gain insight into what intrigued listeners. I often wait for a question never before asked. At my most recent reading in an Oakland, California bookstore, an older woman inquired how I felt as a man writing the biography of a woman and why I was drawn to do so. This was the question I expected to be asked at an author event sooner or later. I explained that Marie Equi did not leave extensive journals-- or they were discarded by others soon after her death. I would have relied heavily on those to understand her experiences as an individual and as a woman. Instead, I wrote about what she did and what was known about her beliefs and thoughts. I avoided inserting my thoughts of how she "must have" felt. And I came to believe that Equi's actions revealed much about what was important to her. I also disclosed more about myself, how I identified with Equi's outsider status and her overcoming many obstacles. Interactions like these with listeners and readers make the theatrical connection more intimate and powerful, and I look forward to more. On June 4, Kirk Johnson wrote a piece in the New York Times spotlightling Oregon's racialist recent past in the wake of the fatal stabbing May 26 of two men on a Portland Max train. The victims of that attack were stabbed when they defended two teenage girls, one black and one muslim, from hate speech. R. Gregory Nokes, author of Breaking Chains: Slavery on Trial in Oregon, offers a bit of historical context in today's blog post. The New York Times has suggested that the harassment on a Max train of two persons of color, and the stabbing of three good Samaritans, two of whom died, was a legacy of the racial prejudice and animosity that prevailed in Oregon’s early history. While that might strike some Oregonians as a stretch, the racism that scarred Oregon’s history is an uncomfortable fact. Beginning in 1844, Oregon had exclusion laws on its books banning African Americans from the region for most of its early history. An exclusion clause was written into Oregon’s Constitution, and not removed until 1926. The laws were generally not enforced, but they served to discourage African Americans from emigrating to the region. This explains, in part, why there are so few people of color in Oregon. Oregon had a history of sundown laws, red-lining of residential neighborhoods, and accommodations and restaurants closed to blacks well into the mid-20th century. Slavery, although not legal, was tolerated in Oregon until the Civil War, and Oregon actually voted in 1857 on whether it should be a slave state, although the proposal was defeated. While Oregon sided with the north during the Civil War, there was considerable pro-South sentiment in the state, reflected in how the Legislature dealt with the amendments that resulted from the war. The Legislature promptly ratified both the Thirteenth Amendment banning slavery and the Fourteenth Amendment granting citizenship and equal rights to African Americans. But the Legislature rescinded its ratification of the Fourteenth Amendment, and didn’t re-ratify it until 1973. The lawmakers declined even to consider the 15th Amendment granting voting rights to African Americans, and didn’t actually approve it until 1959. The votes were symbolic, of course, as by this time blacks had citizenship and voting rights under federal law. For more on the early Oregonians’ attitude toward blacks, Chinese and other people of color, including the 1852 trial that was the only slavery trial held in Oregon, see my award-winning book, Breaking Chains: Slavery on Trial in the Oregon Territory, published by Oregon State University Press in 2013. 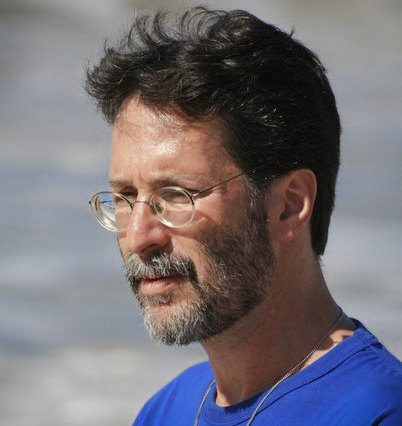 It is with tremendous sadness that we say goodbye to Brian Doyle, who died on Saturday, May 27, of a malignant brain tumor at age 60. OSU Press was privileged to publish four of Brian's books, each remarkable in its own right, but surely none more memorable than his debut novel, Mink River (2010). 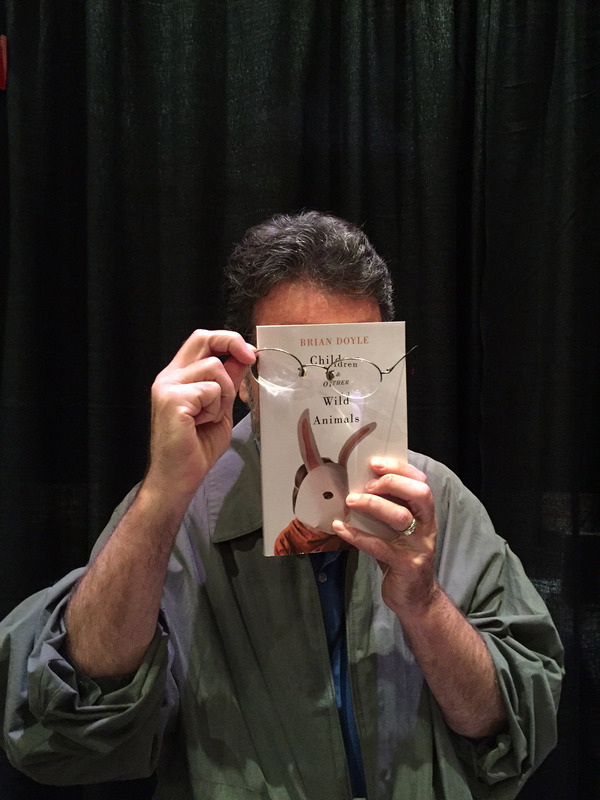 In prose and in person, Brian Doyle was unfailingly compassionate, generous, and kind. He was a tireless champion of the Press and a treasured friend to the Oregon literary community. We mourn the books he would have written had he lived longer, and we deeply mourn the man who brought so much light and joy to our work. Please consider making a contribution to the Brian and Mary Doyle Family Fund. Proceeds will be used to help retire the mortgage on the family home.